Stuff that holiday turkey full of deals and save room for desert because it’s the November Edition of Collection Pickups. 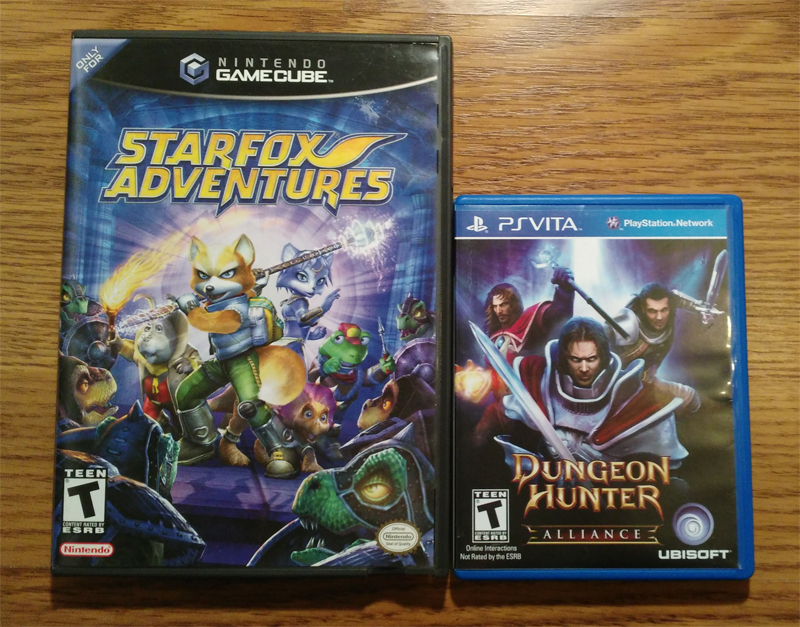 Gohastings had a varying percentage off sale on used games (2 games 20%, 3 games 30%, etc), so I got 4 games for the maximum discount of 40%, which of course they sent each of the 4 games in three different packages. 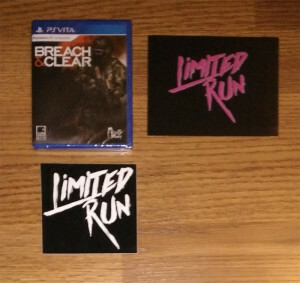 At least package had more than one game. 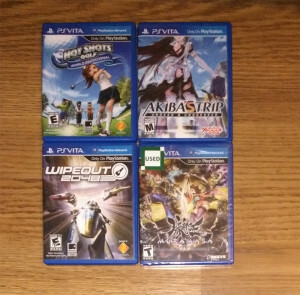 After discounts, Hot Shots Golf World Invitational was $6, Akiba’s Trip: Undead and Undressed $15, Wipeout 2048 $6, and Muramasa Rebirth $15. Interesting fact is that it looks like GoHastings forgot what “used” means as it’s still sealed, despite what that sticker is telling you. Feels like an Alternate Universe Gamestop. Thanks to Limited-Run Games I was able to grab a physical copy of Breach and Clear for Vita on the second go though. Good on them to decide to cancel that jerkass order of 100+ copies from that one person so more people had the chance to grab it. 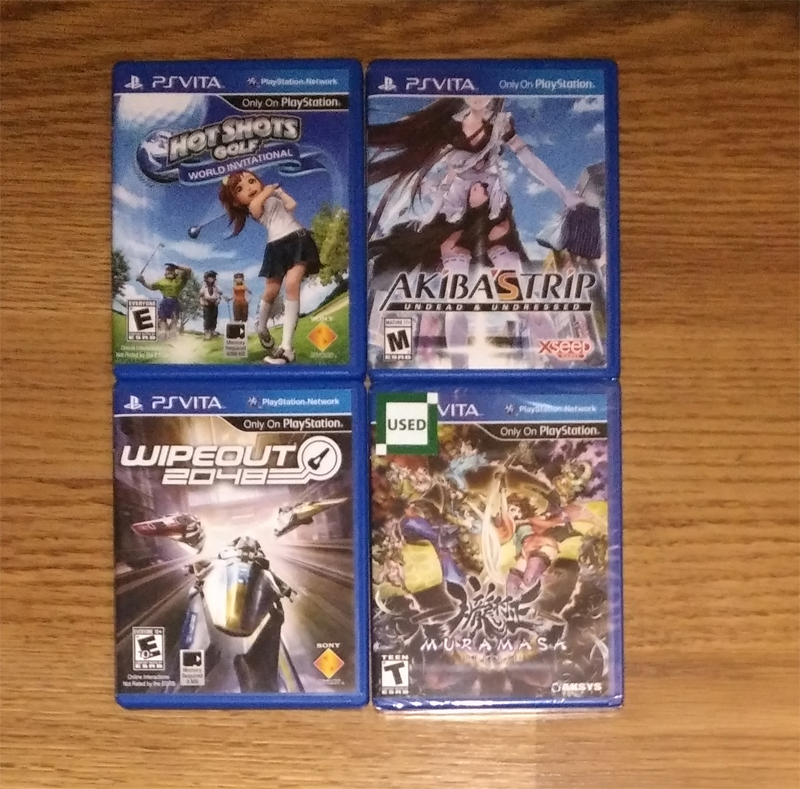 Thanks to that, I now have 20 (unique) Vita games! Not bad for just starting last month with the Great Target Playstation Vita Purge of last month. 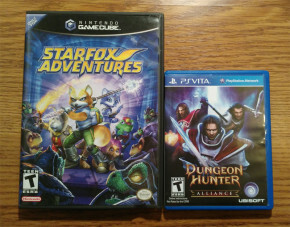 Starfox Adventures on Gamecube and Dungeon Hunter Alliance on PlayStation Vita, both were $9 each from Amazon Warehouse. 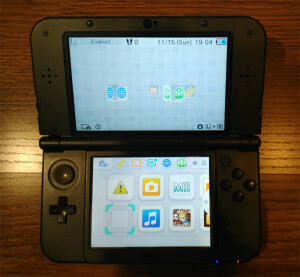 During one of the Cowboom Console Flash Sales I ended up with a *New* 3DS XL Black to compare with my other “nomal” sized 3DS import model. Not sure how I feel about it though, it almost seems too heavy or something, comparatively. Luckily they updated the 3DS homebrew channel with 2.5 payloads, allowing me to load it in a more substantial way so I can’t get locked out of the Region Free option on my import model for when Nintendo decides to patch things and not push a firmware update. I’ll probably go back and forth between them for a little bit to decide which to keep, but I am leaning towards the “normal” sized one, as the 3DS XL is too big for me to (eventually) 3D print my own faceplates. Seems the XL has less plate options too as it only seems like you can replace the backplate and not both sides like on the regular size (I could be wrong though, if I am let me know). I just wish they’d release the regular sized *new* 3DS here already in a non-bundle capacity but I’m not holding my breath for Nintendo to do that, or anything else that makes sense. 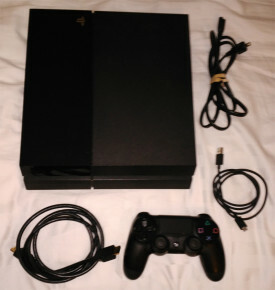 More Cowbooming, from the same sale, a PS4! I was actually looking for a Wii U this time around, as I just missed one from the last Flash Sale and ending up canceling the one I thought I had secured which didn’t come with a tablet controller so no savings to be had, nor worth the headache on trying to find a replacement one (Again, not counting on Nintendo to do something that makes sense, like sell them separately). Anyway, found this instead. 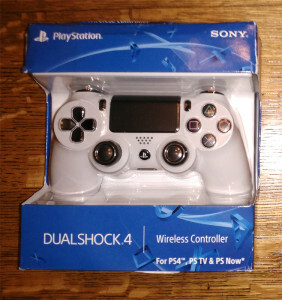 In normal Cowboom fashion it didn’t come with the controller, but perfectly acceptable for the $124 shipped price. Adding in an additional $32 Amazon Warehouse PS4 Controller, I’m all in for the next/current generation at just over $150. Picked up another PS4 controller as well, also from Amazon Warehouse for $34. Box is in horrible condition, but the Controller was in perfect shape so no matter. I don’t think it’s a “dinger” though, not sure if it’s supposed to but it didn’t come with a charge cable but thankfully it’s just standard micro usb so I, and everyone else on the planet now thanks to cellphones, have enough extras. Works really nice on the Playstation TV with the touchpad as well. 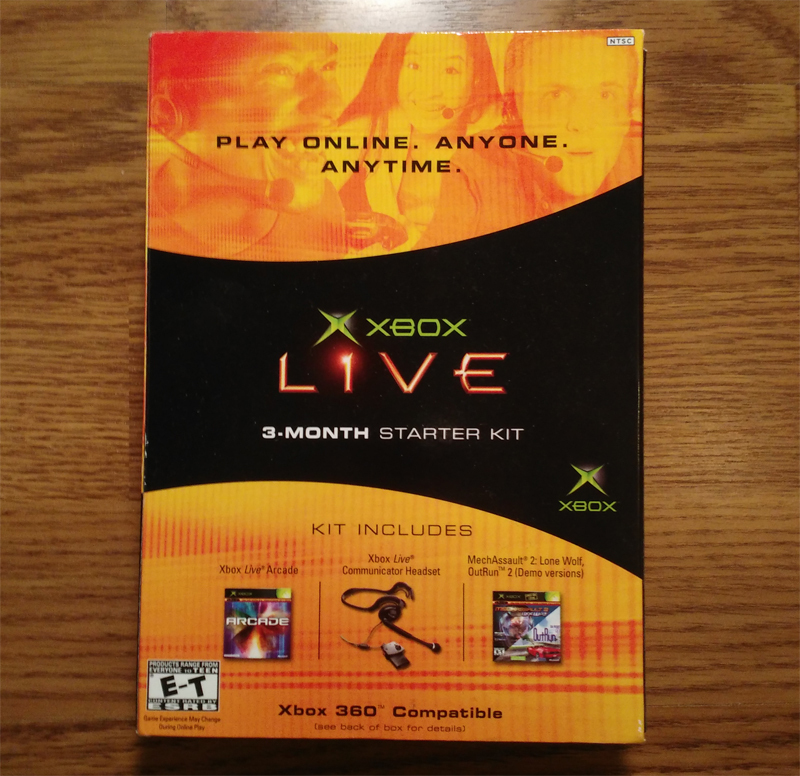 Lastly, we close out the month with an Original Xbox Live 3-Month Subscription kit. 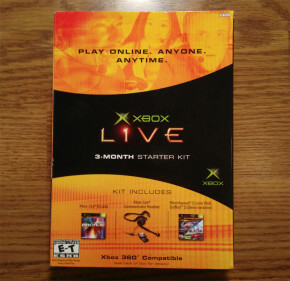 Still had all the headset and all the demos, and the 3 month live code was still unscratched. Not much use for this anymore if at all but still neat piece of history. Still waiting on Black Friday/Cyber Monday finds to come in so those will be archived in next month’s December Pickups.